Really Simple Syndication (RSS) is an easy and free way to get the news you want whenever it is updated, even if you are not on the fpmt.org web site. Want up-to-the-minute announcements, the latest advice, or information about our education materials and projects? You choose what you want to track and how often you want to be updated. 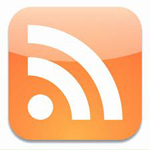 RSS feeds use a technology called XML to deliver headlines and summaries to your desktop or Web browser. To use RSS, you’ll need to use a news reader — a program that provides a real-time interface to the feeds you select. News readers come in all sizes and shapes. Many are Web-based; some send headlines to your e-mail or cell phone. FPMT’s RSS feeds should work with any reader using the standard XML-based format. Note: These links are not meant to be viewed like a web page. In order to view, copy the link and paste it into your preferred News Reader. Pick a feed by browsing the links in the box on the right. Copy the feed URL and paste it into an RSS news reader. Go to your news reader of choice, paste the link into the relevant spot and you’re set. Your reader software or e-mail program should offer you help in changing your settings or unsubscribing from an RSS feed. the use or display does not suggest that FPMT promotes or endorses any third party causes, ideas, Web sites, products or services.